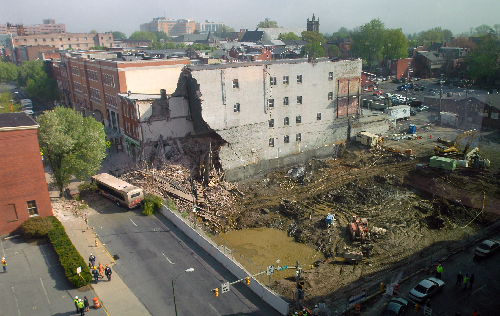 If anyone has photos of today’s collapse and would like to share them, please email me at bentleech@gmail.com. (The above was borrowed from http://articles.lancasteronline.com/local/4/251091). Except for rowhouses, there are probably more warehouses in Lancaster than any other type of building. Most are straightforward brick boxes, handsome but not particularly distinctive. The R.L. 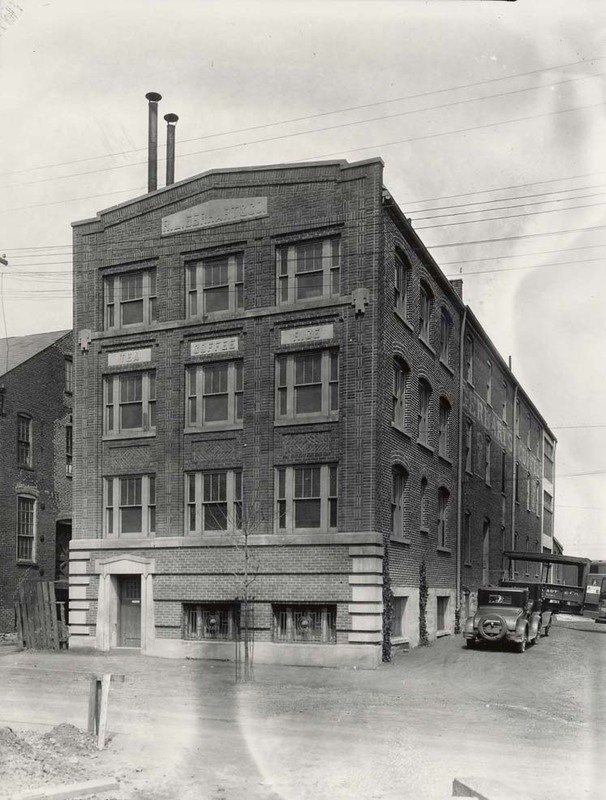 Gerhart & Company Building is an exception. 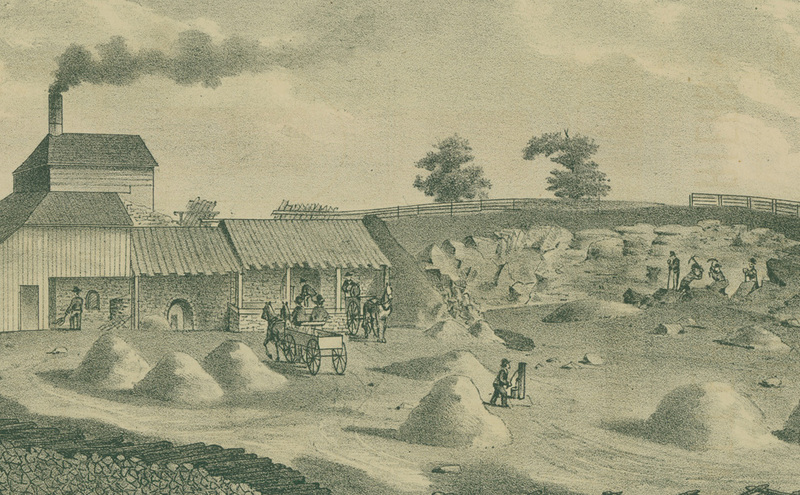 In addition to some fancy brickwork and monumental stone detailing, the building’s original contents were literally carved in stone: TEA, COFFEE and RICE, as if the building would never have any other purpose. 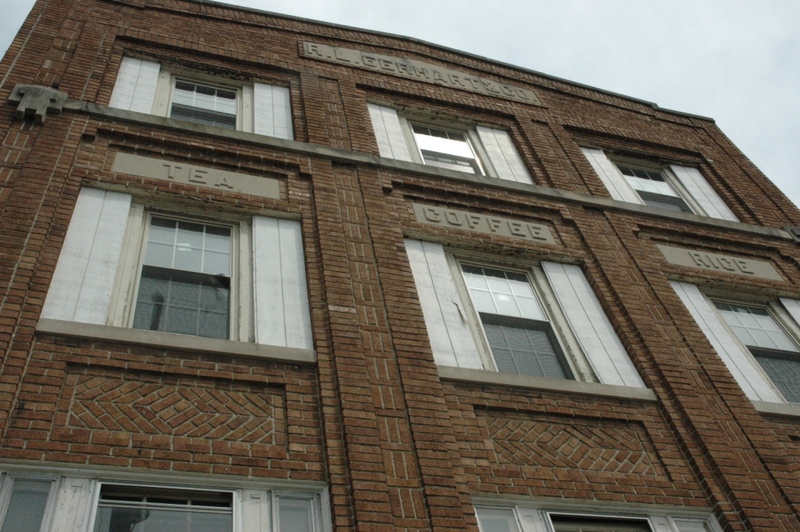 The Gerhart Coffee Company still exists– its roasts are delicious, and can be purchased, among other places, at the new Expressly Local grocery store downtown. But the company moved out a long time ago, also abandoning the “El Capitan” moniker they adopted mid-century to give their products an exotic, Juan Valdez-ish kind of flair. But while the building’s stoic visage might now be tomb-like, there is life inside. 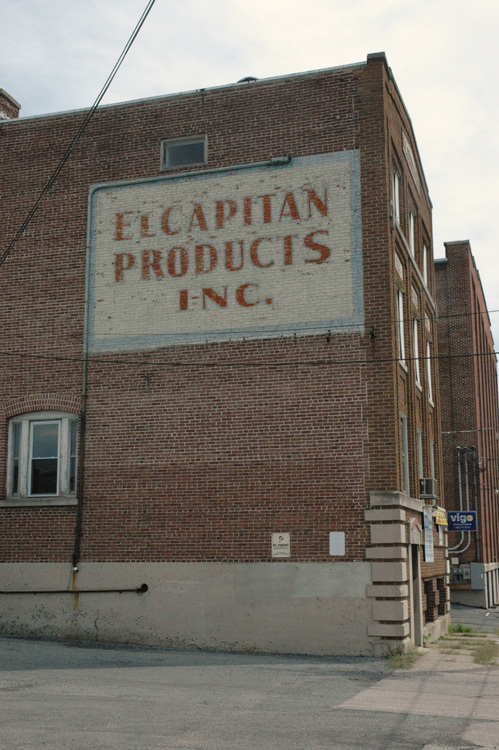 It is partially occupied by a cleaning supply company run, fittingly, by Peruvian immigrants. The sign for their products, however, is a more ephemeral sheet metal. At the confluence of Columbia and Marietta Avenues, right where West King Street begins its Mason/Dixon march across the city, there is a little spit of land that, on a map, looks barely able to fit a building. 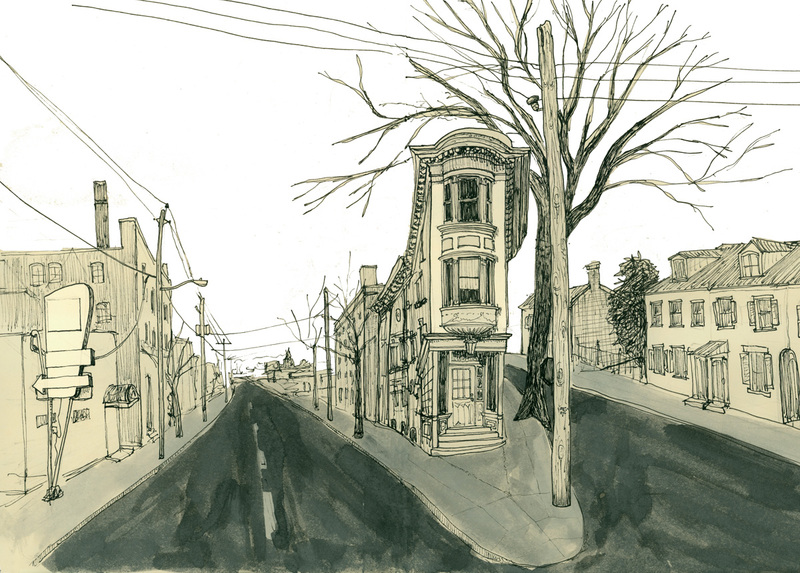 But a building stands there regardless– an improbable sliver of a house that thrusts its lone pressed metal oriel towards downtown like a ship’s figurehead pointing toward harbor. It is one of the city’s most charismatic streetscapes, yet one that drivers along its two flanking avenues never see, since traffic speeds past in the wrong direction. The house has been vacant for years, and is up for auction at the Sheriff’s sale in January. Built at the turn of the twentieth century as a grocery store and dwelling, it was converted to single-family use in the 1920s. 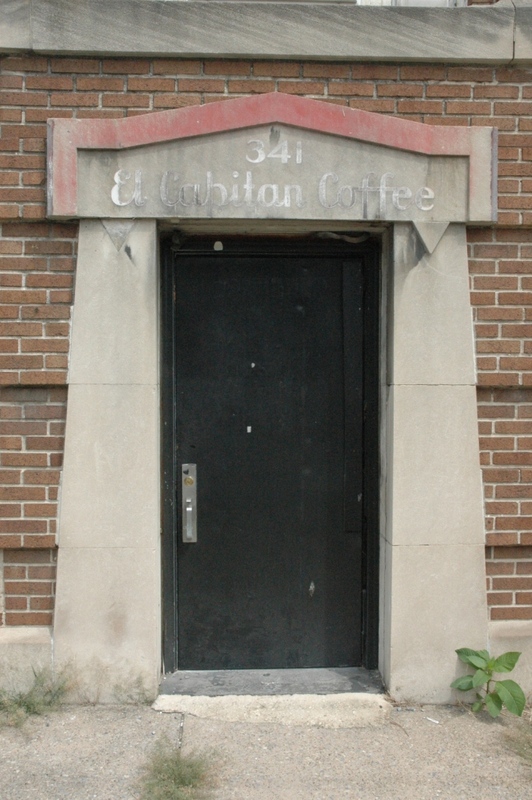 In the 1960s it became the Steamboat House, listed in the phone directories as an antiques store but remembered in the neighborhood as a coffee shop. Carved into apartments, the building later served as a women’s shelter and social services office before its current state of dormancy. It was last on the market for $285,000, but could be a potential bargain at auction. The last time the building went into foreclosure during a recession, in 1982, it sold for a cool $735. 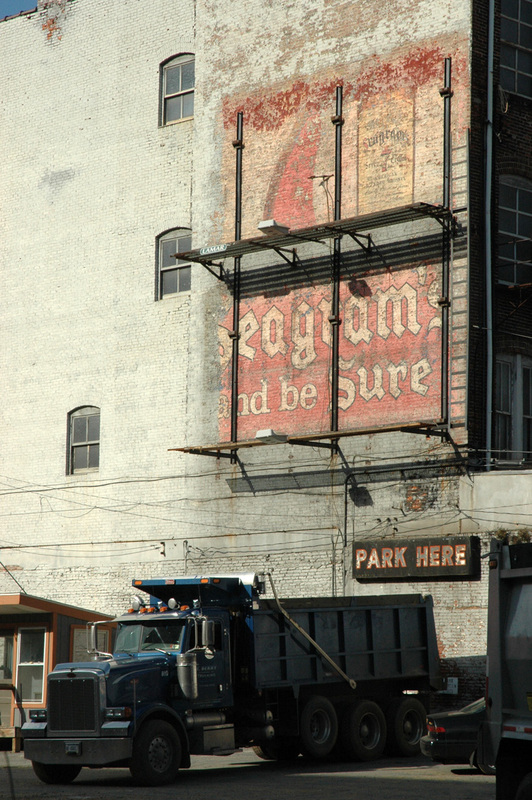 Ongoing site preparations at the future home of the Lancaster Museum of Art recently uncovered a ready-made masterpiece: Seagram’s and Be Sure. The Mayer Farmstead is a proud but abandoned hamlet of nineteenth-century barns and outbuildings anchored by a forlorn Italianate mansionette along Fruitville Pike. Surrounded by industrial parks, shopping centers, and freeway on-ramps, this architectural apparition stands like a mothballed diorama of slow demise and obsolete grandeur. Its hard to imagine anything but impending doom for the site, even if our lame economy has just emptied a few of the big boxes at the Red Rose Commons shopping center next door. While new retail construction here seems redundant at best, it also seems inevitable. The site, which includes some of the last actively farmed land in the city’s oldest and closest ring of suburban development, recently sold to a commercial developer with unknown but predictable intentions. Not that exploiting this land for profit is anything new, of course. The site’s patriarch, David M. Mayer, was a catch-as-catch-can entrepreneur who had stakes in farming, lumber, and mining, and who established a lime quarry and kiln on the property around the same time his house was built. Both are featured views in Everts & Stewart’s 1875 New Historical Atlas of Lancaster County, illustrating a fascinating juxtaposition of nineteenth-century tastes and norms. 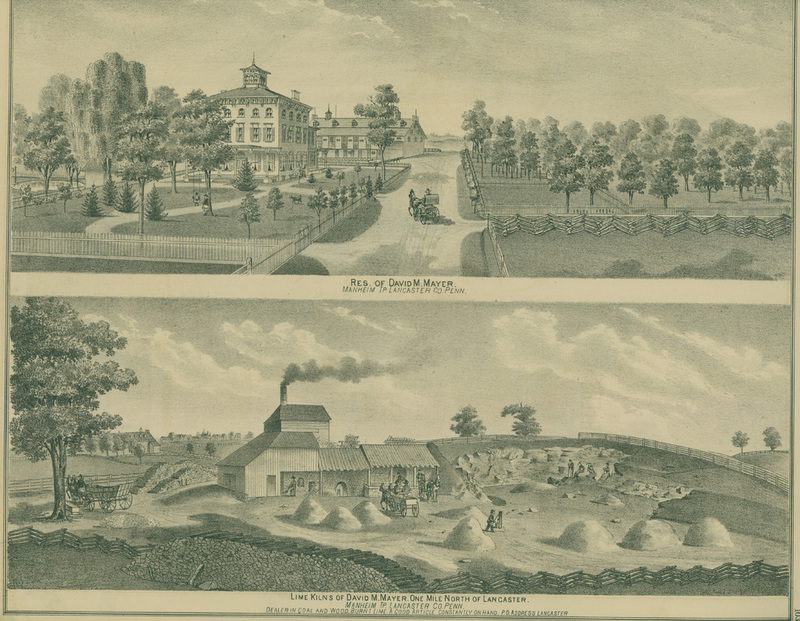 That an ostentatiously genteel, lavishly landscaped estate would stand directly across from a smoke-belching pit mine, and indeed, that both would be proud trophies, posed no contradiction to the captains of nineteenth-century industry. 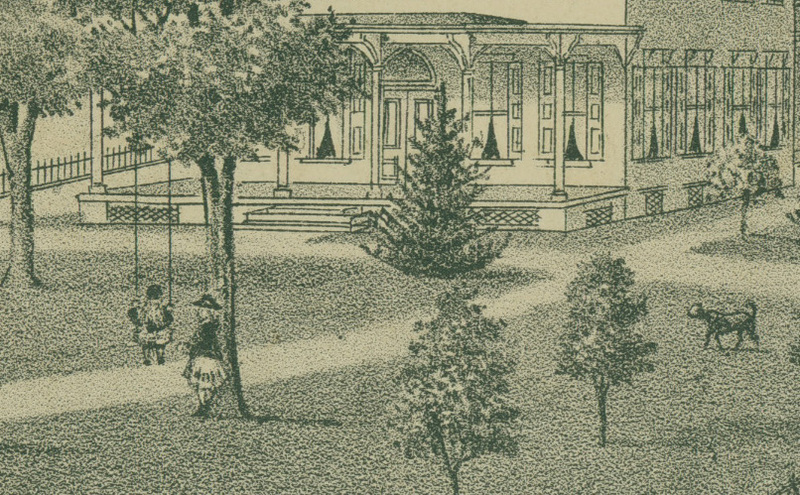 That Mayer’s teenage daughter Lyda (perhaps the young child in the tree swing?) died of consumption in 1888, reportedly in the cupola atop the house, is a cynical parallel drawn purely in hindsight. Until recently, the former Ashley & Bailey silk mill in Columbia was a bewildering and improbable ruin– a knotted curtain of brick, vines, and broken glass. The building lurked on the edge of the town like a Dickensian spectre, not just of an industrial past, but also of a landscape yet to come, a post-apocalyptic premonition of a built environment returned to nature. Its ruinous state was the legacy of a tragicomic history of abandonment, redevelopment pipe dreams, and a demolition campaign that was itself ultimately abandoned. 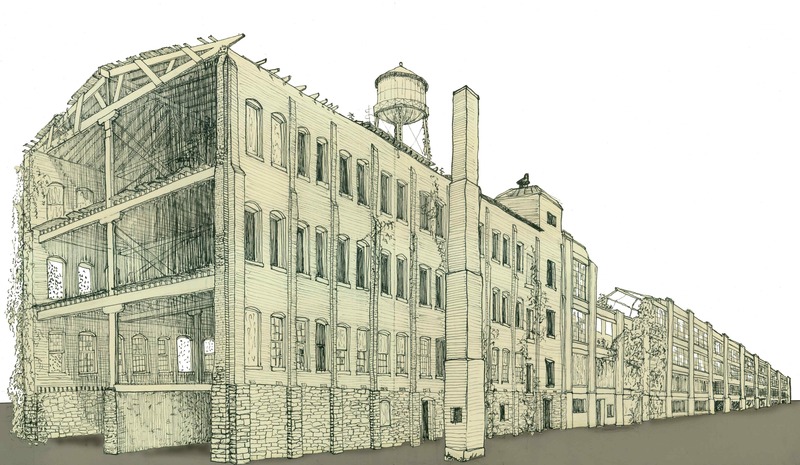 Like Monty Python’s Black Knight, the mill complex was half-heartedly hacked away at for decades while redevelopment plans and liability concerns came and went and an encroaching wild ecosystem took root. Trees replaced the concrete mushroom columns of the factory floor, wildflowers sprouted between amputated floorboards and joists, and hawks perched atop the ivy-covered water tower. More than a century ago, Frederick Law Olmsted revolutionized landscape architecture by fabricating naturalistic vignettes (New York’s Central Park, Boston’s Emerald Necklace, Chicago’s Jackson Park) within an industrialized urban grid. 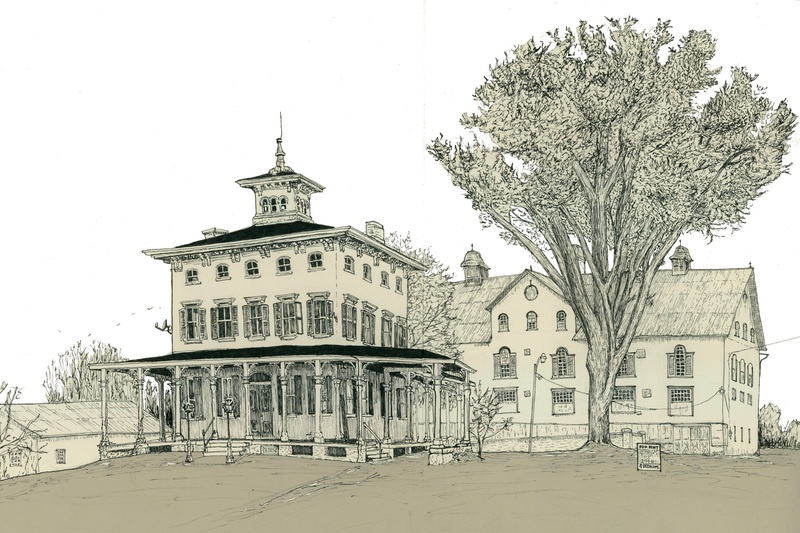 He worked in direct response to the threats posed to the American landscape by the new social and architectural orders embodied in buildings exactly like the Ashley and Bailey, constructed only a few years before Olmsted’s death. 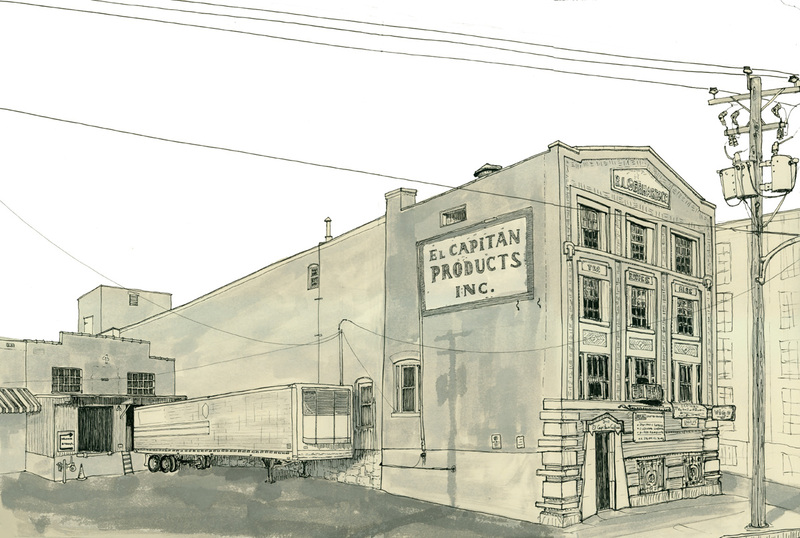 In a sense, then, the chickens came home to roost in Columbia, as a sublime natural ecosystem returned Olmsted’s favor and inserted itself into this industrial shell after the fortunes of enterprise waned. This was architecture gone feral, and it was something to behold. All this changed when a new set of redevelopment plans were unveiled last year. The site is now being scraped clean (pasteurized?) for the Turkey Hill Experience, a dairy and iced tea tourist mecca and erstaz factory to be housed in stabilized portions of the old mill structures. Demolition of the site has intensified over the last few months, with vegetation and windows stripped away, the smokestack lopped in half, and large portions of the surviving original 1897 mill cleared. These were undertaken ostensibly for structural reasons, though it is worth noting that plans call for a mini-mart–first proposed in the mid 1990s–on the newly-leveled site, and there are whispers of a giant fiberglass cow standing perch on the shortened smokestack platform. Perhaps in an ode to the recent spirit of the place, however, the mini-mart will reportedly feature a green roof. 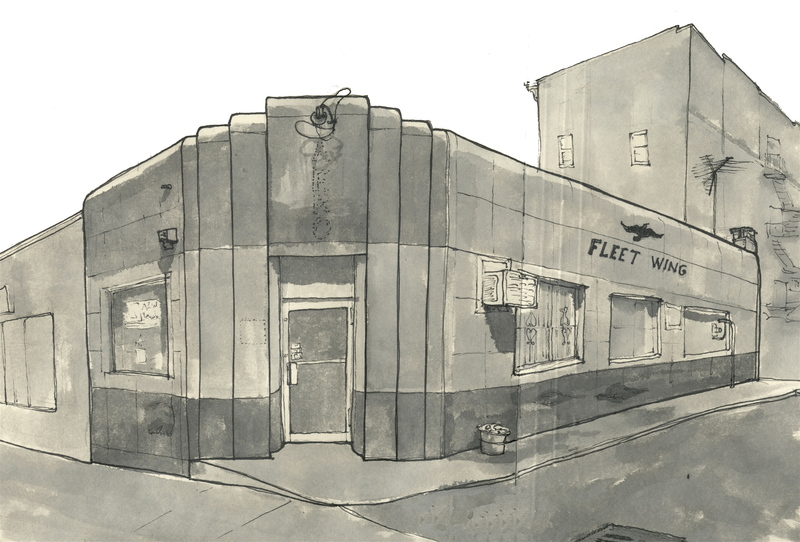 This sleek little relic began life as a filling station for Fleet Wing gasoline in the early 1940s, when few other buildings of any kind were going up downtown. While it would only serve this purpose for a few short years, the building kept a decidedly bird-themed identity for decades. In 1944 it was converted to the Bluebird Grill, and in 1950 became the Pelican Bar and Grill. For almost twenty-five years, a large neon pelican sat atop an electric marquee sign mounted to the building. Today, however, only a vaguely avian tv antennae keeps company with the graceful red silhouetted bird of the surviving original logo. The building is clad in a colorful palate of porcelain enamel, a then-state-of-the-art material favored for its ease of maintenance and streamlined appearance. A decade later, this same material would be used in mass-produced all-steel Lustron houses, an evolutionary dead-end but now a cult classic of mid-century architecture. For more on Lustron, click here.